There are several keys to brewing a perfect Cup Of Heaven (coffee). Drip Coffee Makers are used by the majority of coffee drinkers today. It is important that the coffee maker you use brews at very hot temperatures to extract the fullest coffee flavor. We currently do not recommend models, but you should do just a little research to make sure you get a machine that brews hot -- 195 to 205 degrees F. They run from $65 on up. Water Quality can make all the difference, which seems like a common sense statement, but it goes beyond whether you use filtered, bottled or tap water. For instance, most people are not aware that you need to use a bit more coffee if you use soft water rather than harder water. Also, water that contains a good amount of minerals will bring out more coffee flavor in your brew. Grinding Coffee should be done just before brewing. Buy whole beans and grind it yourself -- it's worth it. To get the best taste from your beans, use a mill or burr grinder (as opposed to a blade grinder). 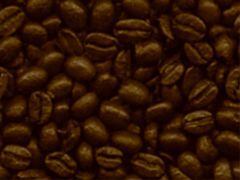 Burr grinders or coffee mills grind the beans more precisely. For drip machines use a medium fine grind (grinding too fine can actually cause over extraction and your coffee will taste bitter). Coffee mills cost more than blade grinders -- about $60 and up, but again it's worth it. If you do use a blade grinder, try grinding it several seconds, stop then shake the grinder, grind again for several seconds, shake again and repeat the process one more time. This provides a more even grind and prevents heat build up which ruins the coffee. Measuring Coffee technically involves using one ounce of coffee for each 20 ounces of water, but making coffee in these proportions may not always be practical. There's an easier way. First of all, don't rely on your coffee machine "cup" gauge -- they vary from 5 ounces on up depending on the machine. Instead, always measure your water and coffee by hand using one to two level tablespoons of Morning Star Coffee for each 3/4 cup (6 ounces) of water. Of course you will want to vary the amount of coffee to your own taste (we use 1 1/3 tablespoons) and brand, for example most other coffees are not as dense as Morning Star Coffee and recommend two tablespoons of coffee. Once you have this simple recipe down, this hand measured method never fails. Storing Freshly Brewed Coffee to best extend its freshness really requires the use of a vacuum container -- also called a "thermos". Preheat the vacuum container with hot water first, then pour in your coffee immediately after it is finished brewing. While brewed coffee supposedly lasts for 20 minutes on the hot plate of a coffee maker, there is nothing worse than a stale or burned cup of coffee. Vacuum containers eliminate this problem, ensure the most flavorful coffee for the longest possible time, and makes serving easier and safer.